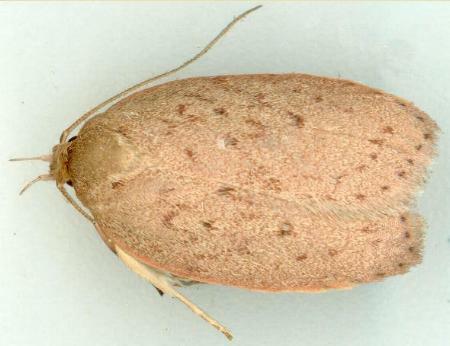 This adult moth has pale brown forewings which have numerous dark brown spots. 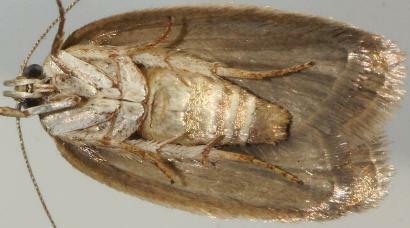 The hindwings are pale brown darkening toward the wingtips. The wingspan is about 2 cms. CSIRO Publishing, Melbourne 1994, pp. 294, 299. Berlin, 10 (1855), pp. 148-150, No. 3-4a.